Looking to customize your new BMW car or repair your pre-owned vehicle? 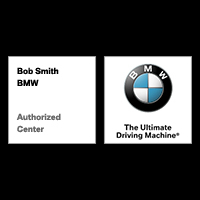 The parts center at Bob Smith BMW has the OEM parts you desire! We have an impressive selection of BMW car parts and accessories for you to choose from. If you already know what part or accessory you need, use our online parts order form below to get started today. After receiving your request, a knowledgeable service member will confirm your order. Then, we can ship it directly to you or hold it for pick up at our dealership near Canoga Park, CA. If you have any questions or need help determining what part you need, feel free to call us at (818) 340-96400 or contact Bob Smith BMW online. And don’t forget to check out our BMW service specials for the chance to save on your next purchase. We look forward to serving you!